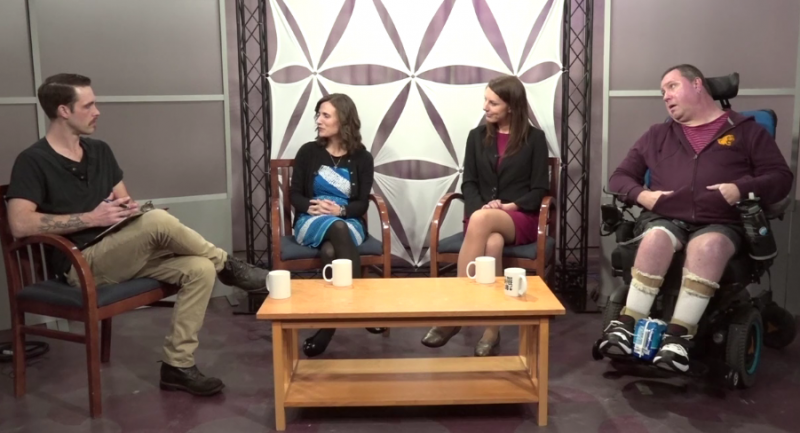 Accessibility & Inclusion in West MI - Focus on Issues #82 from GRTV on Vimeo. Focus on Issues is a GRTV program dedicated to discussing difficult issues in the West Michigan region. The program welcomes guests from a number of area organizations that are related to the topic selected for the month's segment. If you have questions about the program or suggestions for a Focus on Issues topic, please contact the host Adrian Hirsch. The panel focused on ways West Michigan has adapted to be more accessible to all community members, as well as shortcomings and difficulties in attaining an optimal living environment. One of the biggest hurdles for some is adequate advocacy to reduce housing or other forms of discrimination. DAKC, FHCWM, and a number of other area organizations are working hard to provide advocacy solutions, and teach the broader community how they can make their facilities more accessible. We also discussed the shortage of personal care attendants and ways to grow that job market. Jewel discusses the importance of education and advocating for one's self. For those living with a disability, knowing your rights and resources available can help navigate life's challenges. Greater awareness and education from the community as a whole can lead to higher qualities of life and a more inclusive community. Watch the full episode to learn more! Focus on Issues is one of the many ways that the Community Media Center serves to inform community members and support area nonprofits. For information about this and other CMC services for nonprofits, or to suggest a topic for a future Focus on Issues program, contact Nonprofit Outreach Coordinator, Adrian Hirsch, at 616-459-4788 x105 or email [email protected]. Ethics and Religion Talk: How important is accessibility to a house of worship?